Nominated for Best Production Design (Dan Hennah, Ra Vincent, Simon Bright), Best Makeup (Peter Swords King, Rick Findlater, Tami Lane), and Best Visual Effects (David Clayton, Eric Saindon, Joe Letteri, R. Christopher White). Over ten years ago, The Lord of the Rings films swept over the world and created fanatics and returning obsessors of the famed and well written (although overly detailed) works by J.R.R. Tolkien. Now, director and producer Peter Jackson is back at it, this time dividing The Hobbit into three parts. The Hobbit: An Unexpected Journey is the first installment. The next, The Hobbit: The Desolation of Smaug is out this month and I have high hopes that it will redeem the first film’s slightly disappointing results. One of the great contrasts in story between The Lord of the Rings and The Hobbit is at their core, their morality and grand stories are very different. The Lord of the Rings largely explored good versus evil and how the worst evil can poison even the best of us. The Hobbit explores lust and the unexplainable want of the wealthy to retain and maintain what they consider theirs, even if they never actually used it. These moral explanations are overly simplified at best, but at their very core, that is what they are. 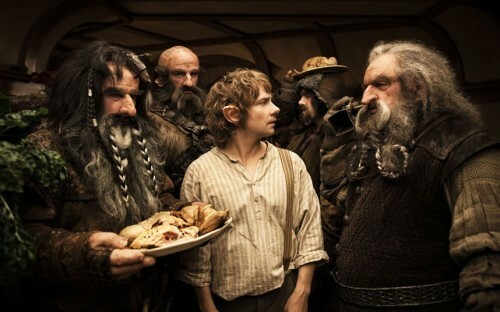 Perhaps The Hobbit‘s morality is less obvious or creates less of an impact. This, combined with the more adventurous, lighthearted story as well as the long-winded three-part film idea, leaves critics disappointed. In The Lord of the Rings, the good versus evil was obvious, the quest was epic, the seriousness and adult story telling nature created a complex world that will captivate for generations. Although The Hobbit is first and foremost a children’s book, this reality is lost on many viewers and critics alike. The story is set some sixty years before The Lord of the Rings but stars a good friend of ours, Bilbo Baggins, this time portrayed by Martin Freeman. He is visited by a strange wizard whom he does not remember and refuses quite sensibly to indulge the old man’s proposal of an adventure. Galdalf (Ian McKellen), of course, thinks Bilbo will be perfect for the job, and it is because of this that a large unexpected party shows up on the hobbit’s doorstep soon afterward, expecting food and speaking of dragons and treasure. The party of dwarves were once one of the richest clans. They had dug so deep and so far that they had discovered the heart of the mountain. However, the dragon Smaug ran them from their home, and now just this small group of 12 is willing to fight their way back home. They have come to Gandalf for help, who has come to Bilbo, for they are in want of a burglar. The film dwells quite a long time in setting up the story, and the dinner scene itself takes up almost a full third of the film. It is funny and there are two musical numbers. Gandalf’s performance is a bit more waspish and fun loving than the desperate man we have grown accustomed to previously. Bilbo refuses to be their burglar but a bit of sleep and a quiet house in the early morning light seems to change his mind and he runs after the group. The rest of the film is almost just setting up the story, with a few adventures in-between. 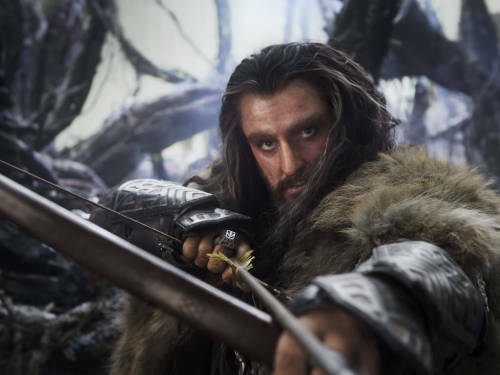 Bilbo is an outsider of the group, and King Thorin (Richard Armitage), who is remarkably good looking for a dwarf, is the most unwilling to accept him. There are orcs, goblins, giants, and trolls that interupt their journey. They even make a pit stop in Rivendel where Gandalf has a show stopping (not in a good way) discussion with Saruman and some other key players where they discuss the dark signs of the land and whether or not they should support the dwarves’ vain adventures. Probably the best scene in the entire film is when Andy Serkis returns once again to embody Gollum, the once Hobbit like creature who lives in the dark and has an unhealthy obsession with his Precious. If you aren’t familiar with Gollum, he plays a very large role in The Lord of the Rings and his meeting with Bilbo signifies a great shift in the fate of Middle Earth. The motion capture work and animation in this scene are unreal. Serkis is exquisite and Gollum is perfectly chilling during his schizophrenic performance in their game of riddles, which should hopefully capture the hearts of fans and newcomers alike. Although the scene slows the pace of the film almost to a stand still, one can hope that new viewers won’t get lost but can appreciate what a perfect scene it is. 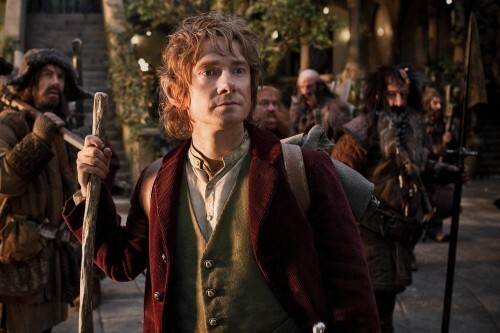 For the most part, An Unexpected Journey is an excellent film. Is is the first part, therefore it is not resolved, the adventure is not over, and there is much more yet to come. I would advise watching this film before watching The Lord of the Rings and not the other way around. I did that last year and was sorely disappointed, but in doing the reverse this year I can appreciate The Hobbit much more for what it is. The 3D and 48 frames per second makes it a bit too realistic and much less magical than one might like, but the views of New Zealand will never grow old. Peter Jackson wanted very much for the world to seem bigger than ever, but I’m not quite sure that happened in most cases. If you can accept that An Undexpected Journey is based off of a children’s book and is the first in a three part series, I think that it is much easier to see the good in it than to nit-pick at the bad. The performances are solid, the music is stunning, the camera work is top notch, and the special effects are out of this world. The comedy is somewhat childish, the story wanders a bit from its main goal, and it takes an awfully long time for Thorin to loosen up. I would one hundred percent highly recommend this film to anyone. It will one day soon be a part of my own home library and I will watch it multiple times in the not too distant future. If you can take my advice and perhaps lower the expectations that The Lord of the Rings trilogy created in you, I hope that you will not be disappointed.